Well, this is a first for me. 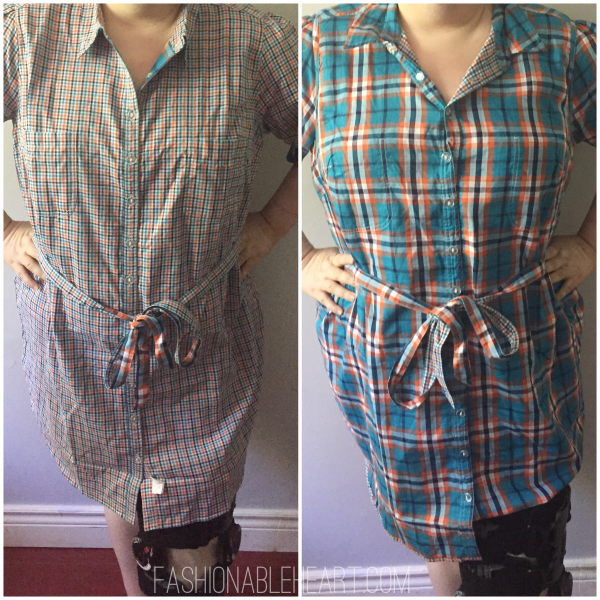 I'm sharing my new dress in this post, complete with my leg brace (my walker was to the side). Oh, that broken knee life. It was very tiring to get these shots and I'm sorry for relying on my phone for photos. I'm out of my giant cast now and in my new brace for the remainder of the twelve weeks. Unfortunately, I hate the brace. It slides down my leg every single time I stand up. Drives me crazy. You have one job, leg brace, one job. And I'm allowed to flex my knee at 30° now, but it terrifies me. I'll give another knee update later. This post is more for the dress! But thank you so much for sticking by me during my injury and sporadic posts! 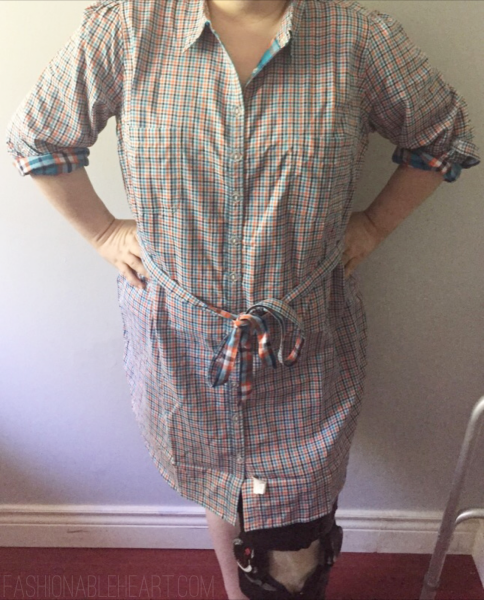 eShakti got in contact with me a few weeks ago and let me pick out an article of clothing to my liking. You guys, I saw plaid and reversible in the same sentence and I was sold. It's a two-in-one deal! I love the turquoise and orange, because it feels like a color combination that can be worn year-round. Unfortunately, I don't see the dress I chose listed on the website right now. But there is a similar one that is not reversible. The removable sash is also reversible. The small plaid pattern has two chest pockets, no pockets on the bigger pattern side. You can roll up the sleeves either way with a removable buttoned strap or you can wear them down and buttoned just below elbow-length. I ordered a size up, because I like my shirt dresses to be comfortable and roomy. I love the bigger pattern and can't wait to wear it layered over leggings with boots this fall! Have you ordered anything from eShakti before? They ship to US and Canada. If they seem a little pricey, check out their clearance and sales. They offer great deals! Plus, they offer sizes 0-36W. How many sites do that?! And everything is customizable from custom sizing, pockets, dress length, etc. You get an article of clothing exactly how you want it. Total win! 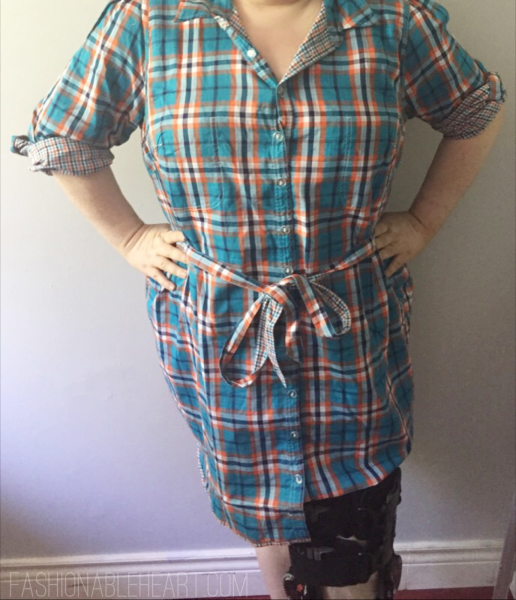 **This dress was provided by eShakti for my honest thoughts and review. I am not being paid and there are no affiliated links in this post. You can follow eShakti on Facebook, Pinterest, and Instagram.